Sampling expectations on a QPU. PyQuil is for constructing and running quantum programs on real quantum computers. With the release of pyQuil 2, we have changed parts of the API (compared to pyQuil 1.x) to better reflect that focus. To construct run-and-measure-style programs, there are no changes in program construction. When using explicit MEASURE instructions or using parametric programs for massive speed increases, please read about the new quil memory model. Below, we build a program that constructs a Bell state. In pyQuil 1.x, you would use the QVMConnection to run quantum programs on a web-hosted quantum simulator (the “Quantum Virtual Machine”). To run on a real quantum processor (QPU), you would switch all instances of QVMConnection to QPUConnection. However, QVMConnection let you do many unphysical operations that are unsupported on a real QPU. These methods are detailed below and have been deprecated in favor of a new API that clearly delineats the physical from the unphysical. When simulating a quantum program, we can inspect its wavefunction. This is very useful! It is–however–impossible to inspect the wavefunction of a real quantum processor. This is one of the central tenets of quantum information! Attempting to switch instances of QVMConnection to QPUConnection results in an error. Additionally, using QVMConnection with a noise model will cause the wavefunction call to behave badly. WavefunctionSimulator encapsulates all functionality that requires peering into a wavefunction. This also opens the door for different types of simulators other than those backed by a wavefunction. For example, you can simulate a quantum circuit with a density matrix simulation or a path integral simulation. Many quantum algorithms involve calculating expectation values of quantum observables. We can represent quantum observables with PauliSums. When using a simulator, it is possible to exactly calculate expectation values (a consequence of having access to the full wavefunction) whereas when running on a QPU you must estimate expectation values by sampling from many runs of a program. Let’s use our program defined above to construct a bell state. Because of technical details, QVMConnection.expectation requires transforming your observable represented as a PauliSum into a program, and then remembering to multiply back in the coefficients. A more usable API was introduced in Pyquil 1.9 and was given the name pauli_expectation. 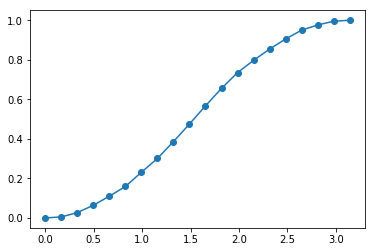 Estimating expectation values via sampling from a QPU is often something we would like to do! Please look forward for helper functions for sampling observables in the near future. A pre-configured quantum machine image (QMI) with your own dedicated qvm and quilc instance. Taken together, there is no longer any motivation for supporting asynchronous access to either the QVM or QPU. When running many programs it was often possible to reduce runtime by batching jobs and exploiting the async queue. The following example does not work in pyQuil 2 but gives a sketch about how this would have worked. Since this is such an important use case, there have been many changes to support running many programs as quickly as possible. We demonstrate an equivalent, synchronous version of the example given above. To idiomatically run this set of jobs, there are additional features you should use that are not covered in this document. Please continue reading the documentation, especially the page covering parametric programs. © Copyright 2019, Rigetti Computing Revision 4ed19ff7.